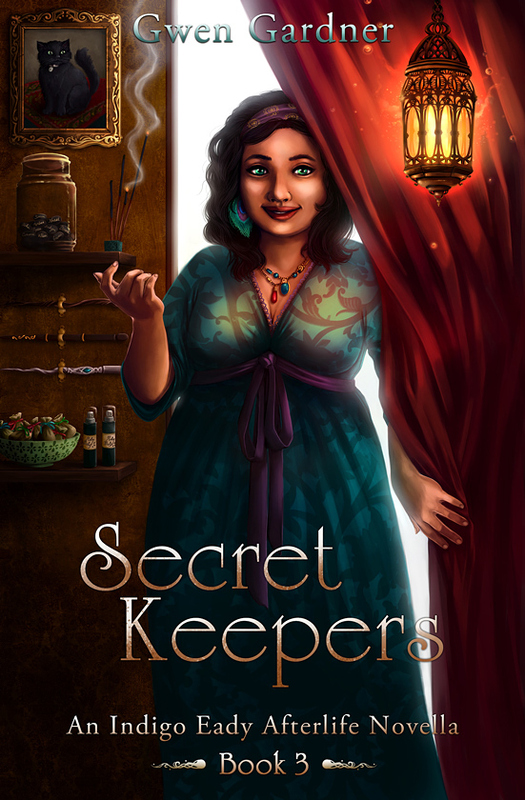 Here is the third book cover of the novella trilogy titled Secret Keepers by Gwen Gardner. This is by far my favorite one, it also has the most detailed bits of the three covers. 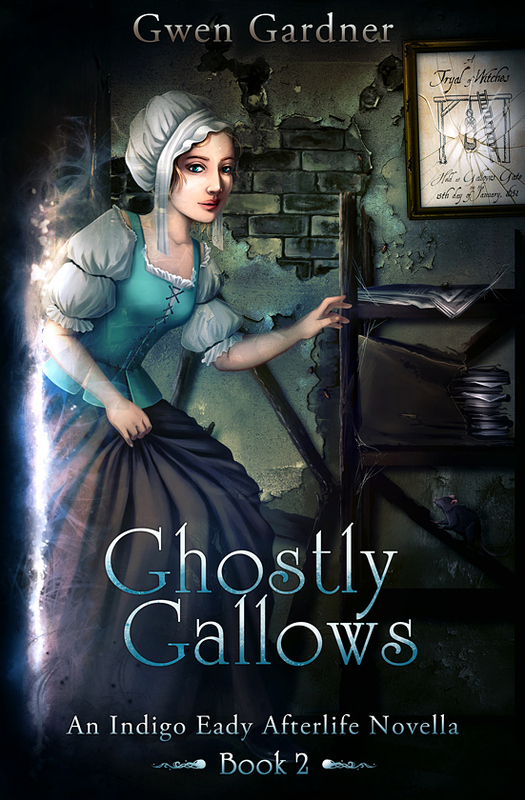 On the cover you see Hazel, a witch who helps the main character Indigo Eady. She also has some secrets of her own. In this post I’d like to show you more than just the end result. I guess you could say I’m also revealing secrets :) So please scroll down to view the sketches and the different stages of progress. 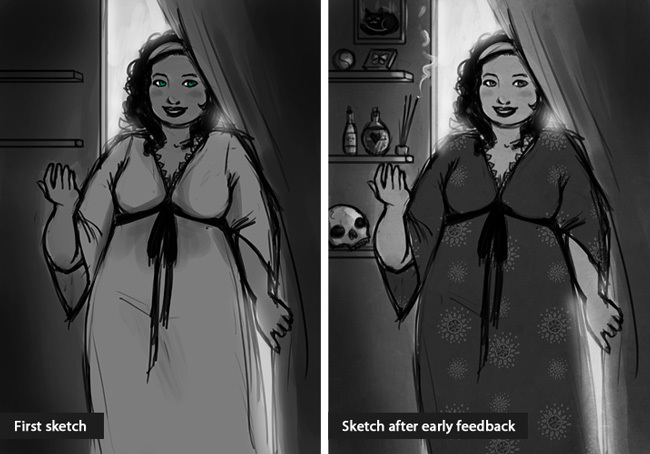 And this is how it all started, with a rough grey scale sketch. As you can see the idea is still the same in the end result, the end result just looks a lot better (I hope ;)! I always save multiple drafts and versions of an illustration. So a lot of space is taken up by ‘concept A’, ‘concept B’ and so on till I start running out of letters. Still, it’s necessary to do this, because you never know if you need to get back to an older version of the illustration. In the finalization of an illustration I often tend to leave it alone for a day or two. Being away from an illustration is important. It gives you a fresh point of view. 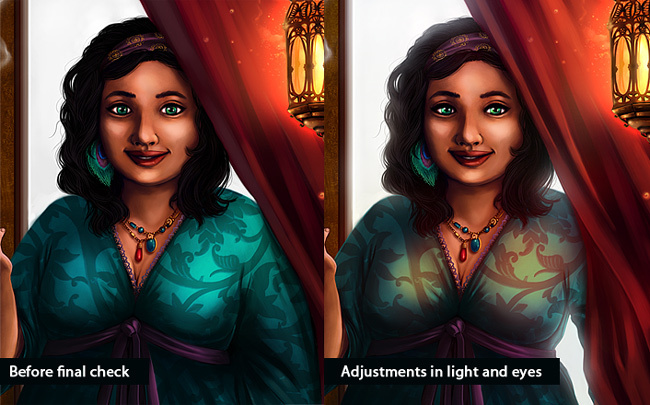 Here’s the adjustments I made before and after my ‘pause’. To make the changes more clear, I’ve made an animated gif. The difference is also important in Hazel’s eyes. She looks much more ‘blank’ in the early version. 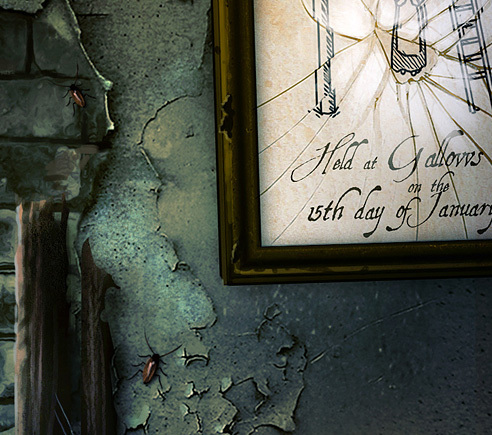 Hope you liked seeing how this book cover illustration came to be. Secret Keepers is now available on Amazon. Gwen Gardner and I discussed this cover a lot. 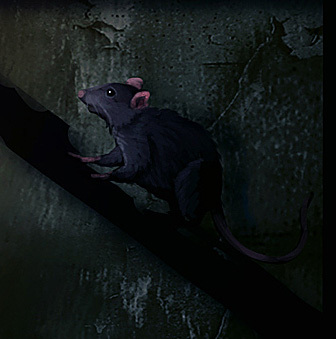 The first idea was to have a much darker scene. There would be gallows from which ghosts were hanging. We weren’t sure if the subject matter would fit the target audience. So we chose another scene. 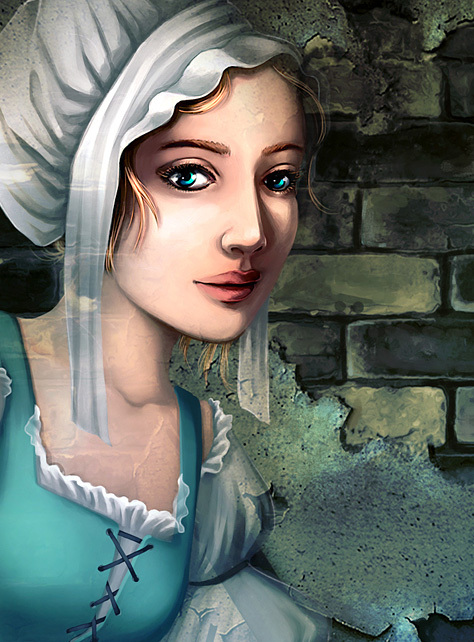 Hannah, a young seventeenth century ghost, looking for clues in an old underground archive. Prior to drawing I did some research. We all know the Halloween style ‘Serving wench’ costumes, which includes a sort of mob cap and a sassy bosom revealing costume. This isn’t entirely accurate of course, but it was quite hard to find the right sources, especially from the seventeenth century. Serving staff wasn’t often the subject matter of paintings. The movie ‘Girl with a Pearl Earring’ helped me get the right century and cap style. And the paintings by Gabriël Metsu and Johannes Vermeer helped me with the outfit. The cover of book 3 will be in the next post! To draw a trilogy of book covers is very challenging. Especially when there is a lot of time between the first and the second/third cover. The first cover was made over a year ago, and the other two these past months. I’m constantly trying to work on my style. Trying out new things, enhancing my personal workflow (the amount of brushes I’ve accumulated, both made by me or others, makes me dizzy sometimes!). The first of three books with my cover was recently released by writer Gwen Gardner. 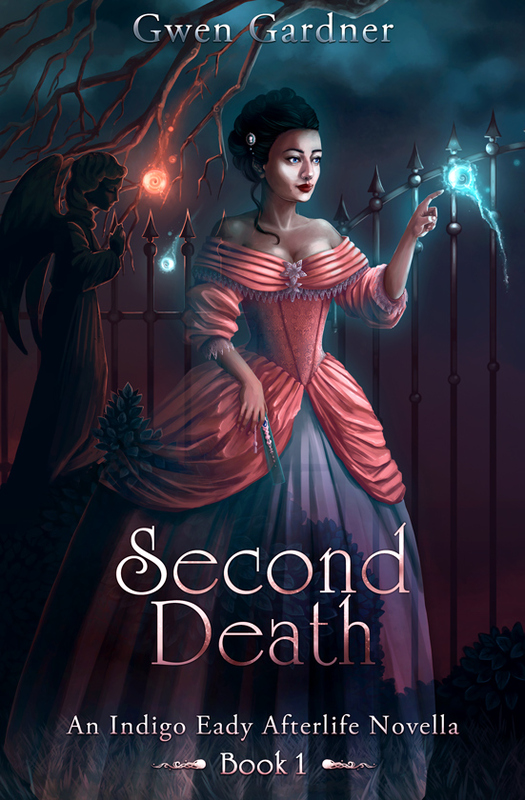 It’s a supernatural tale called Second Death. It’s available for purchase on Amazon. Now that it’s published I can finally show you the cover! I hope to be able to post the other two covers soon. The third cover is my personal favourite :) Please stay ‘tuned’!